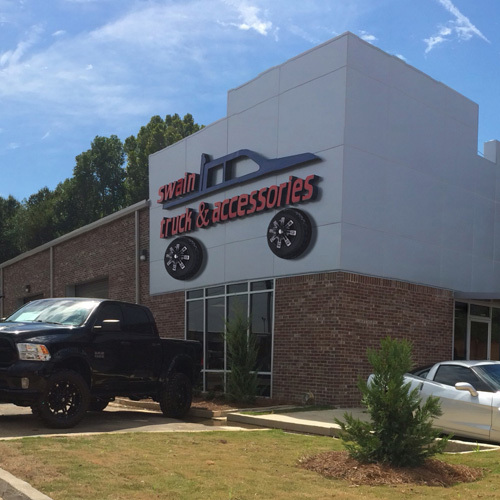 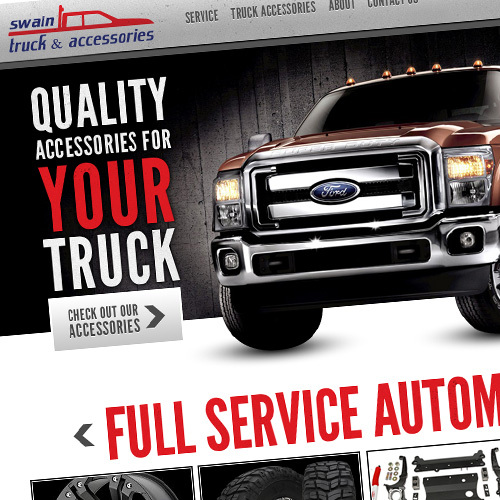 Swain offers several automotive services and customization options, such as lift kits, lights, tires, rims, and interiors. 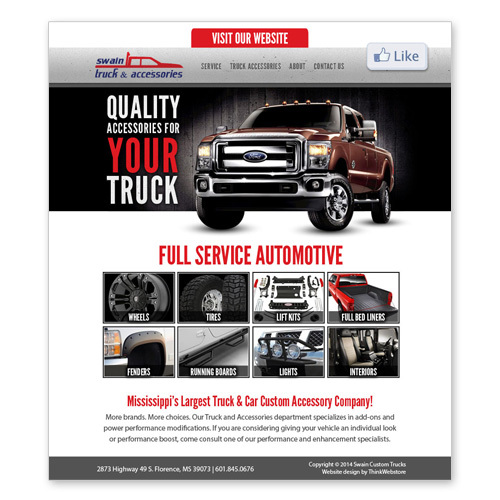 Think Webstore designed their website, business cards, storefront sign, and Think also manages the Facebook page. 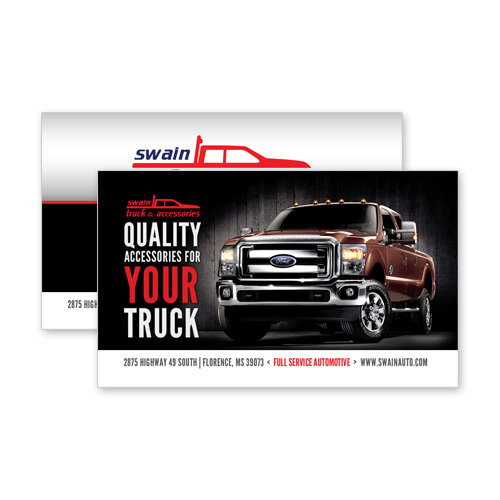 Think Webstore also assisted in logo touch-up for Swain.